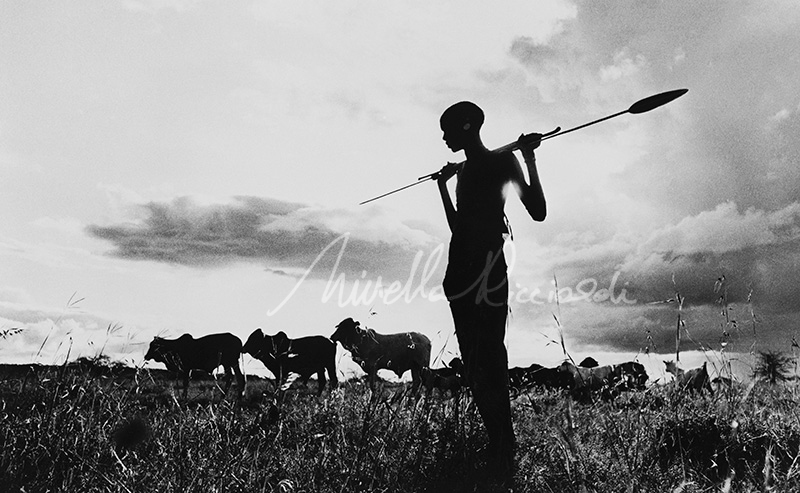 MR2217 “A samburu Youth” Norther frontier District of Kenya, East Africa- Vanishing Africa Silver Collection 1967/68. Nomads- life cannot exist without water. Nowhere in the world is this more dramatically apparent than the pastoral nomads of the NFD(Northern Frontier district) of kenya. Tribes who live here can have no settled homes. They must follow the rain clouds wandering from water-hole to water-hole as their camels and livestock finish the grazing and move off to new pasture. Inevitably, the search for pasture and water becomes a way of life, all consuming for both man and beast, and it is often the cause ware-fare and inter tribal raiding carried out with spears and simis(long knives).